Eat charcoal? I must be crazy, you say! Now I’ve really gone too far, you may be thinking. But before you turn away from the idea completely, let me run down a few of activated charcoal’s benefits and assure you that I’m not trying to convince you to eat lumps of coal; in fact, activated charcoal comes in easily digestible capsules that are totally vegan. 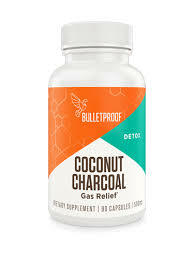 Bulletproof sells a wonderful Coconut Charcoal processed from 100% coconuts. Activated charcoal is NOT the same thing as the charcoal you barbeque burgers over; activated charcoal is a special form of carbon that is treated in such a way that it becomes very porous—usually by heating wood or coconut shells at a very high temperature (600-900 degrees Celsius) and without oxygen. The carbon is then exposed to certain chemicals, typically nitrogen and argon, and again superheated, this time exposed to steam and oxygen, creating the extensive pore network. This porous quality—just one gram of activated carbon has a surface area of more than 32,000 square feet!—allows the carbon to attract and hold certain organic chemicals, a process known as adsorption. According to Bulletproof, the carbon will attract “positively charged toxins, bacteria and gas [which accumulate in your system from processed, unhealthy food and drink] to remove them from your body naturally without impacting healthy gut bacteria.” In other words, every time you consume activated charcoal, you are effectively undoing those dangerous and harmful decisions you may be making every day about what you’re putting in your body. Of course, this is not an excuse to eat whatever you want as long as you counteract it with a dose of charcoal everyday. But when you gather with family, go out with friends, or even just come home after a long day of work, it sometimes feels like you are bombarded with rich, fatty, generally nutritionally lacking foods as well as an abundance of alcohol. You may be desperately craving an antidote. According to the Mayo Clinic, activated charcoal is used in the emergency treatment of certain kinds of poisoning. It prevents the poison from being absorbed from the stomach into the body. Numerous studies have provided evidence of activated charcoal’s effectiveness at detoxifying the body of certain chemicals, which makes sense, given its adsorptive qualities. Be careful, though: activated charcoal also binds to beneficial substances, so make sure when you pop a charcoal capsule, you are drinking plenty of water and fluids and don’t take it when you are on any other medications as it may bind to those as well and flush them out of your body. I like to stick to the bulletproof capsules, popping one before big holiday meals or when going out to eat at a restaurant or social gathering–situations in which I am consuming outside my usual diet. I can feel the benefit in my gut and always have high energy the next day–something you wouldn’t expect after a night of overindulgence. 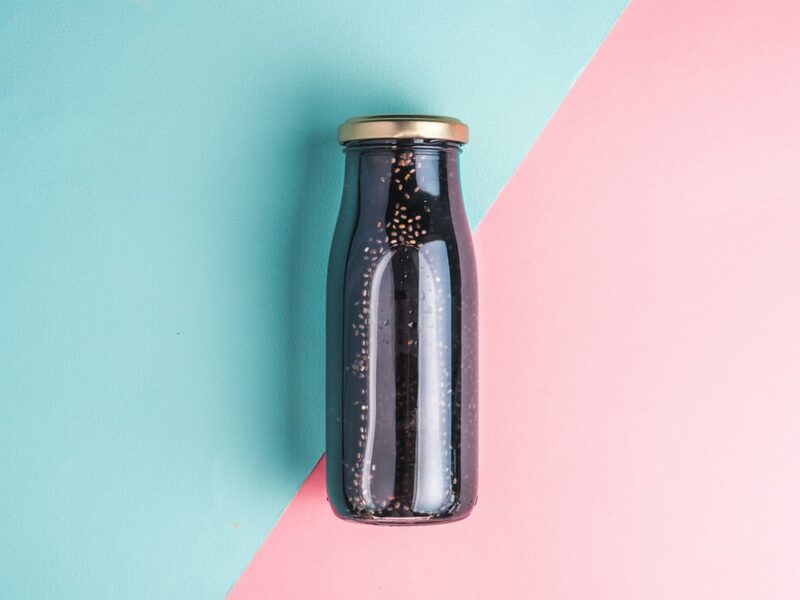 Katrine Van Wyk, writing on Dr. Frank Lipman’s wellness blog, recommends taking 1,000 mg of activated charcoal after overeating or indulging in something you know you’re sensitive to (gluten, e.g.). The charcoal will soak up excess gas and toxins in the digestive tract and help flush them out of the body. I agree with Katrine and take it this way as well! Ann Louise Gittleman, best-selling author and nutritionist, says you should never travel without packing “chardust.” She recommends opening up an activated charcoal capsule and sprinkling it on foods that are “questionable” as well as swallowing 4 capsules at the first indication that you might be sick. Activated charcoal seems to be the beauty and health trend of the moment. So of course, given this, there are a number of trendy new products touting charcoal as an ingredient and promising clear skin and pure guts. Dirty Lemon Detox, for example, is a juice cleanse that can be added to your usual diet and that consists of drinking a blend of water, raw cold-pressed lemon juice, activated charcoal, dandelion-root and ginger-root extract. Some of these products may in fact be beneficial, so feel free to experiment—just be sure to consult your acupuncturist or herbalist before testing them out. This entry was posted in Herbs & Supplements and tagged Activated Charcoal, bulletproof, coconut charcoal, detox, digestion, gas relief, health, healthy lifestyle, Supplements, wellness.